I'm 12 years old and I've recently traveled to Eastern Africa with my family. 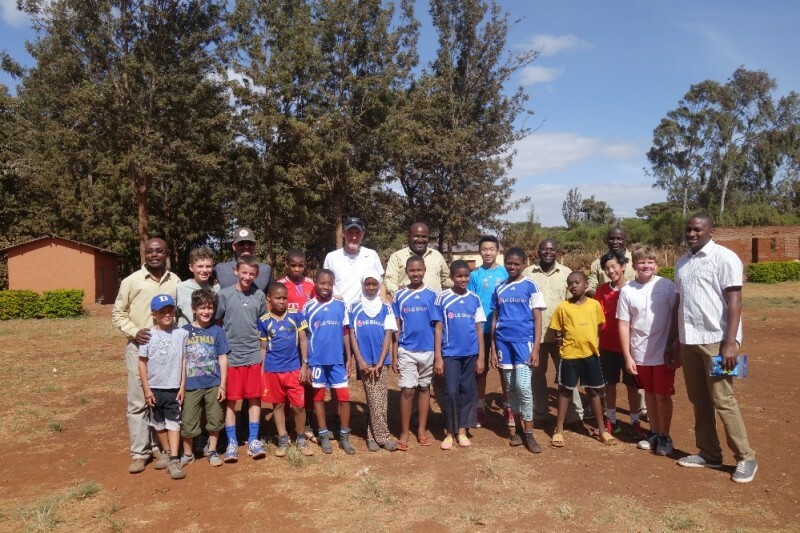 While I was there I had the opportunity to play soccer with boys and girls that are just like me and you except they didn't have proper shoes. I'm writing to you in hopes that you can help. I am requesting a donation of previously enjoyed sneakers and cleats, money, or both. I will transport your doantions to Africa and help fit the shoes for each of the students, so they can have shoes just like you and me. Please donate here in support of my cause. Pay it Forward Sports Supporters - the shoes finally made it to Africa. Please see the message from the school. We wanted to send along a HUGE thank you from all the students here at Tumaini Schools for the extremely generous gifts you sent us. We can't image how much work you had to do to collect all of these shoes. We never would've been able to get them without your help! We would love to hear your story and how you successfully encouraged so many people to donate such nice and useful items. 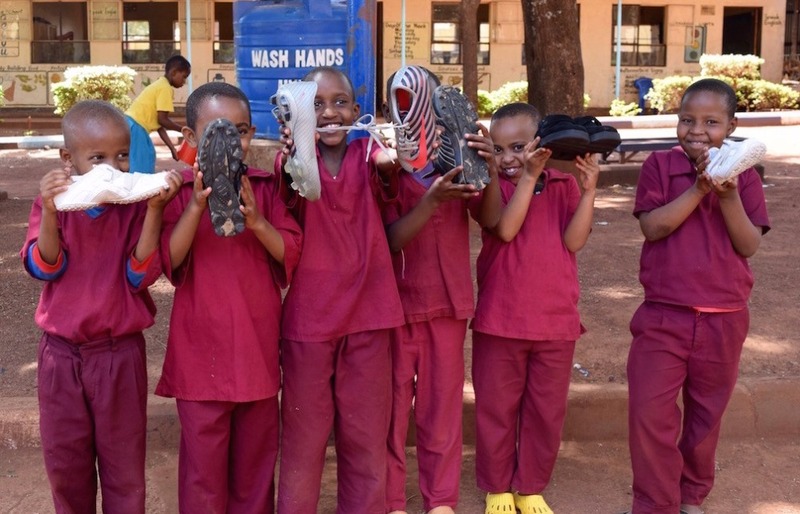 As you saw when you visited our school, shoes are always needed here at Tumaini whether a student is in the classroom or on the field. As Carol mentioned, the shoes had a very long journey to get to Tumaini but they finally arrived last week after crossing the Atlantic Ocean in an enormous container. 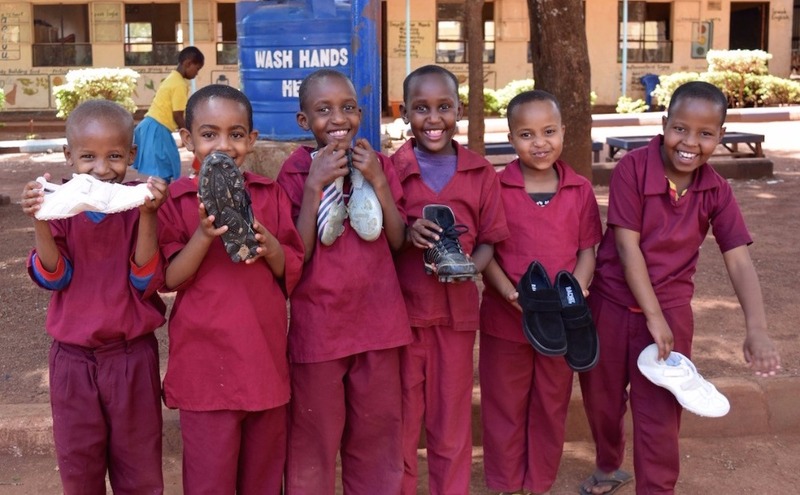 It is the end of the school year so we are very excited to be able to give out the shoes to students in January when they return. In the meantime, here are some photos and a video to say "asanate sana." We hope you're able to share this message with all the people who helped you with your project. Such a GREAT cause! GO Austin!!!! Austin -- Thank you, and keep fighting to make the world better ! !